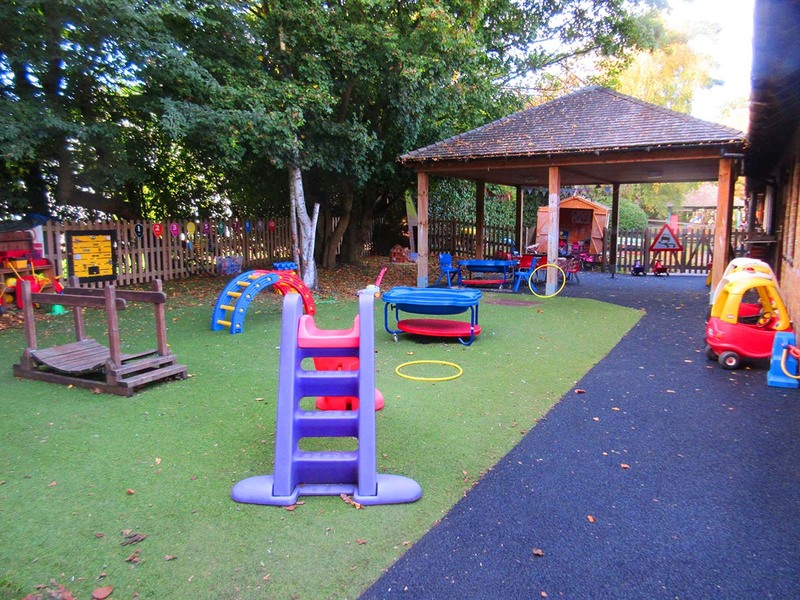 The pre-school outside play area featuring the artificial grassed area and sheltered play area. 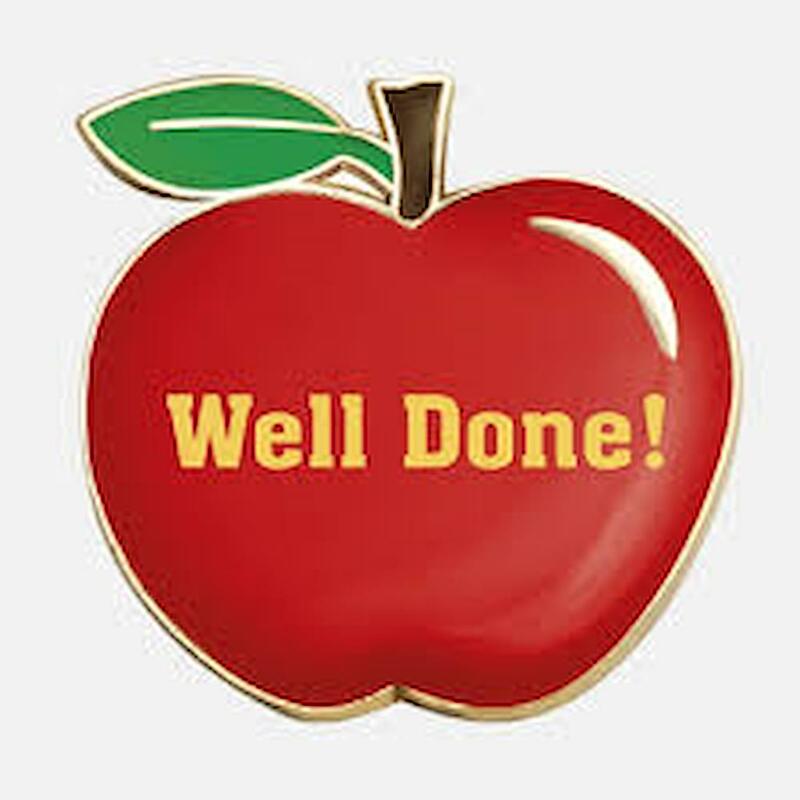 Tolleshunt D'Arcy Pre-school is an Ofsted 'Good' rated pre-school serving the D'Arcy community and surrounding areas of Tollesbury, Tolleshunt Knights, Tolleshunt Major, Goldhanger, Tiptree and beyond. Set in the lovely grounds of the village primary school, we provide a fun, safe and stimulating learning environment for 2-5 year olds for up to 30 hours per week, 38 weeks per year. Funding is available, subject to eligibility. Everyone is welcome to attend our pre-school, so please feel free to contact us and arrange to come along with your child for a visit. 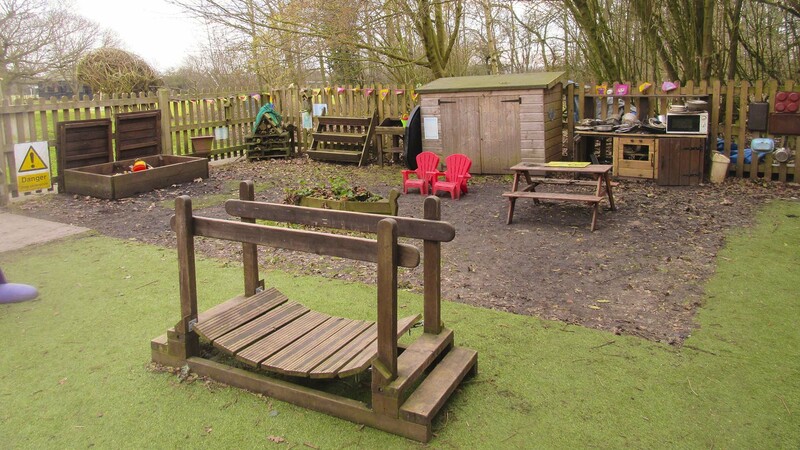 The pre-school "natural area" featuring digging box, bug hotel, potting shed, and mud kitchen.